You are here: Home / Storytelling / How I Found Out that the Toronto Blue Jays Really Do Love Kids! How I Found Out that the Toronto Blue Jays Really Do Love Kids! He never should have returned my call. In fact, the first three times I reached out to him he didn’t. His name is Peter Cosentino and at the time he was the Vice President of Marketing for the Toronto Blue Jays Baseball Club. I was just starting out as a children’s author — three of my short stories had been published in chickaDEE Magazine and my first book, Hi! I Am the New Baby had just been launched. I also was a big fan of the Blue Jays and wanted desperately to do a children’s book with the team. A few weeks go by. No response. A few weeks go by. No response. I start thinking about the Toronto Raptors. The next day. Ring. Ring. Ring. 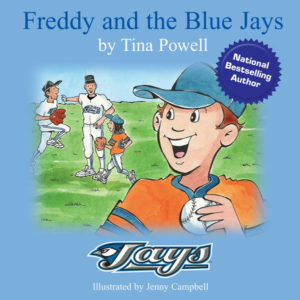 Freddy and the Blue Jays was published soon after. A fabulous launch party was held in the Blue Jays locker room and I toured with a Blue Jays relief pitcher to raise funds for the Children’s Aid Society Read with Me Project. Working with the Jays is a memory I will always cherish. I learned that their commitment to children, families and the community is heartfelt and authentic. I also earned a great lesson about the power of perseverance … and of chocolate! Previous Post: « Everybody’s Got a Story. What’s Yours? I love this story. 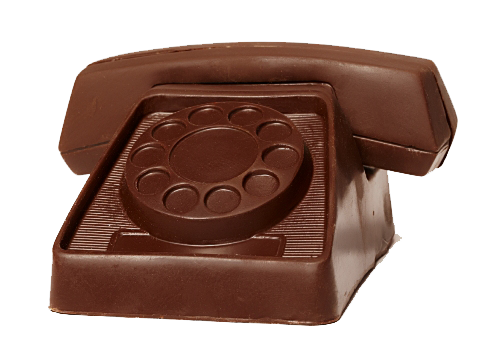 I will definitely remember to try the chocolate phone approach. Pure genius !